The guarantee you need for more than 20 years. Since 1997, THE WEB POWER is one of the first GREEK Web Hosting companies. We offer reliability, quality and great support in order to cover your needs, today and in the future. We provide the best solutions in the best prices. The domain name is your identity on the internet. Domain names are unique and refer to the website that are pointed. Select the domain you like, and proceed to the registration. Domain names include the name part (ex. your name or your company), and a TLD (ex. .com, .net). The TLD can be relevant to the content of a website, country and many more. Each country has a unique TLD (ex. .gr for Greece, .de for Germany). 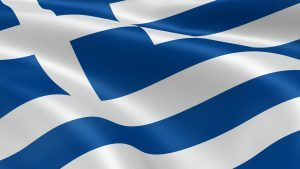 Therefore the .com TLD in mostly used for business websites, the .net .org .biz .info for companies, organizations, private individuals and the .gr TLD is relevant to Greece. Register your domain, fast and easy, through our user friendly and secure website. Note: Domain names (.gr tlds) which cannot be registered due to geographical limitations. These domains are only registered to local authorities and municipalities. Renew your domain, through one of the first certified registrars in Greece. Transfer your .gr domain names for FREE to THE WEB POWER. Enjoy the reliability that we can offer you for FREE. For domains with international tlds (ex. .eu .com etc) the transfer cost is 11,00€ and includes 1 year extension to your domain expiration date. During the transfer procedure the Name Servers don’t change and there is no downtime for your website. In order to transfer a .gr domain, you need to have the authorization code of the domain. If you don’t have it you will have to request it from your previous registrar. During the domain transfer there is no change in the owner details or in the registration and expiration dates. In order to transfer a domain with an international tld you need to have the authorization or EPP code of the domain and the status of the domain should be ok or unlocked. If you don’t have the authorization or EPP code, you will have to contact your previous registrar. After the initial domain transfer request, an email is sent to the owner’s email address for verification purposes. It usually takes just a few days for the procedure to be completed. After that 1 year is added to the expiration date of the domain. Exclusion: .eu domains don’t have an authorization code or locked status. Our systems offer the best possible security, based on the latest standards. We offer a 30 day money back guarantee starting from your first day of service. Our network offers a 99.9% Uptime rate for all our servers and services. We offer phone, email, ticket and chat support in order to fully cover your needs. Our servers include 24×7 Server Monitoring, 100% Network Uptime and ServerSecure software. Every hosting plan includes cPanel, the most popular control panel in the market worldwide. Our servers include 3 backups (daily, weekly, monthly) in order to be able to restore you website in no time.